When I was younger the impact on careers was the downsizing of businesses. Then we got hit with the various flavors of outsourcing (offshoring, nearshoring and outsourcing to in-country businesses). Now, we are being hit with advancements in automation and artificial intelligence. 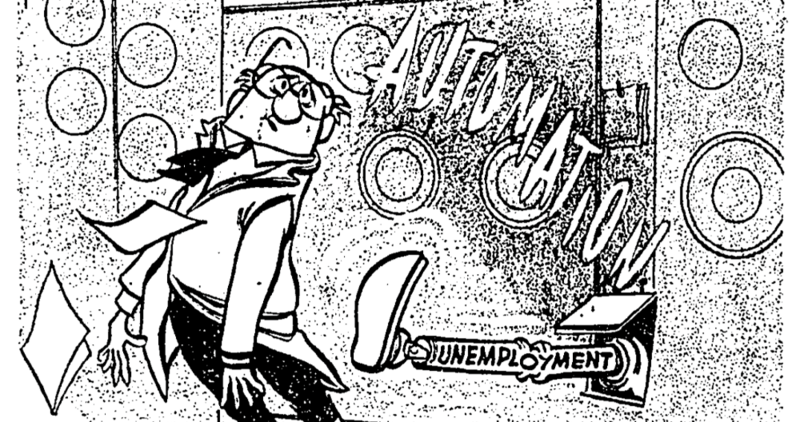 I call the next wave Automation-sizing (the loss of jobs to advancements in automation and artificial intelligence). Over the past couple of days I have been asked for career advice and business insights pertaining to where technology is making advances that could have impact on a person's career. There have been incredible advancements in automation and artificial intelligence that is going to have an adverse effect on certain careers. If you have not been paying attention, this has been coming for years. Data collection and data processing are just 2 areas that are going to be affected. Anyone having a job where those are significant functions is going to have to find new work soon enough. I have been watching as things are being moved to shared services centers. Accounting, Information Technology and legal services are just some of those roles being sent to shared services centers around the world. Let that sink in a little bit. Give thought to the kind of work done by accountants, attorneys, paralegals and almost every service side IT job you can name. Once those roles are placed in shared services, it then becomes easily managed and ripe for automation. 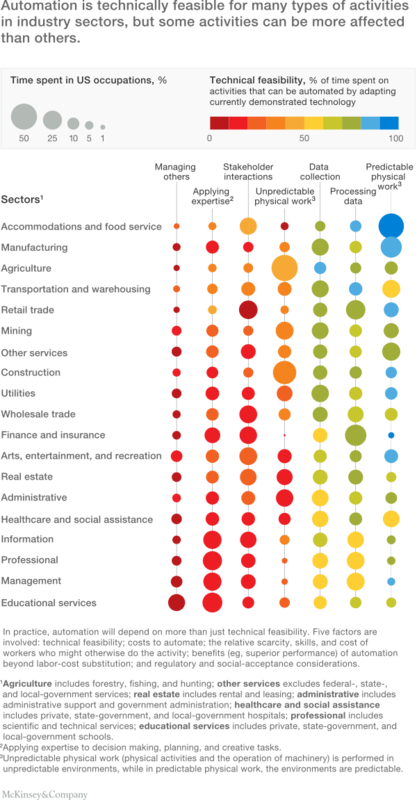 McKinsey & Company have researched time spent performing activities that could be automated or performed with artificial intelligence and created the chart below.